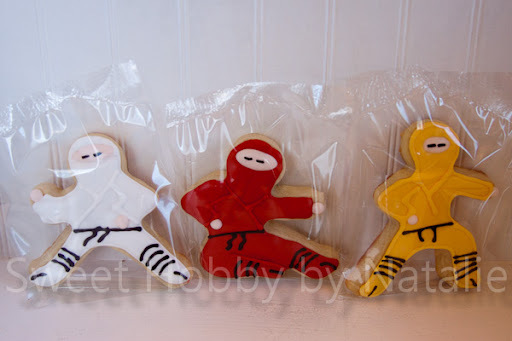 I bought Fred & Friends Ninjabread Men cookie cutter months ago because I knew that my son would love to have them and I was waiting for his birthday to pull them out. 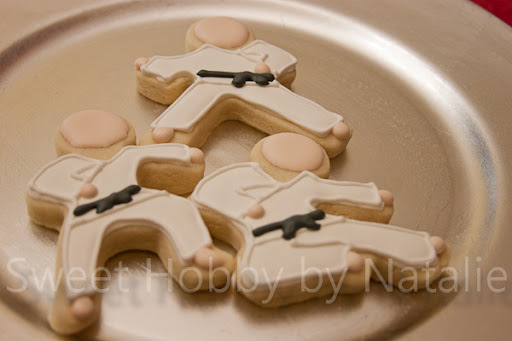 The shape was great to convert into karate guys as well. 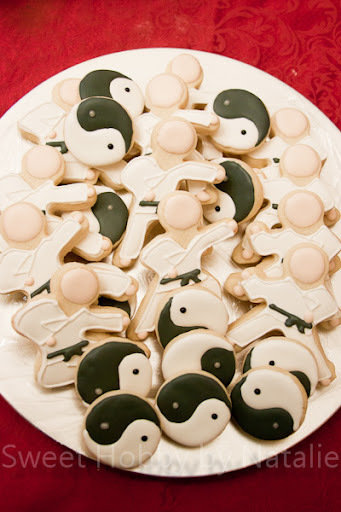 They had a little celebration party after the awards ceremony and the karate cookies were a hit. They were gone in less than five minutes. 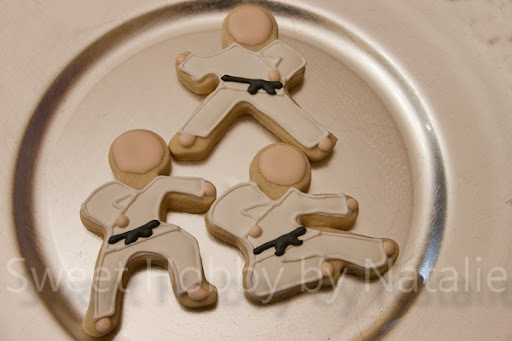 A couple of days later I used the cutters again to make ninja cookies for my son to share with his Kindergarten class for his birthday treat. Kaleb was super excited to share these with his classmates. 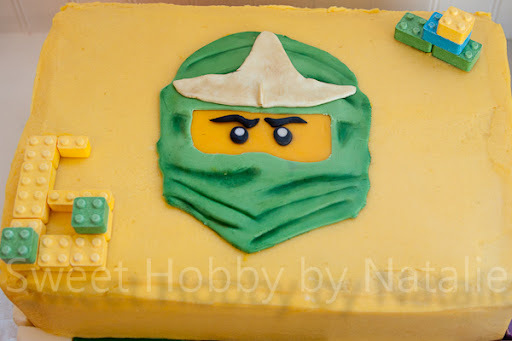 To keep with the martial arts theme we moved onto a Ninjago birthday cake for my son. 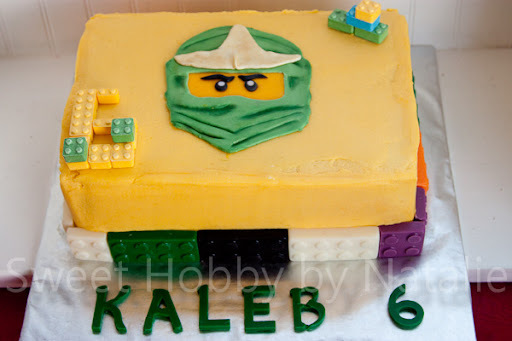 My son loves all things, karate, ninja and Lego Ninjago. 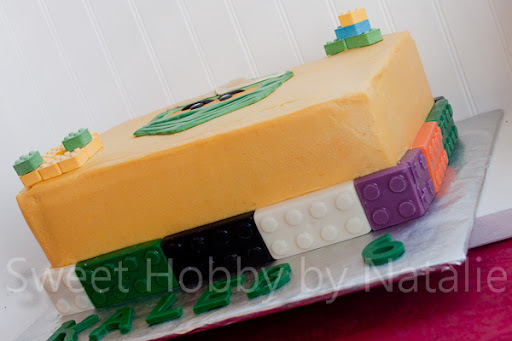 You can buy candy building blocks already made and that is what is on the top of the cake. For the border I just used Wilton candy melts and building block molds. 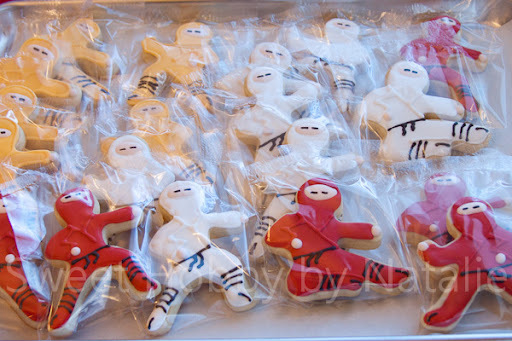 It was a week was full of mad ninja skills for sure and a good time was had by all.